Digitization of books is a very tedious process, in which the paper pages need to be converted to textual pages that can be stored in computers. There are many tools that can help you do that. If you wish to do a similar work without installing any software, here is a way out with Google Drive!. You need to login to your Google Drive, and upload the scanned document image ! Make sure your upload settings are properly selected to convert texts from PDF and image files to Google documents . 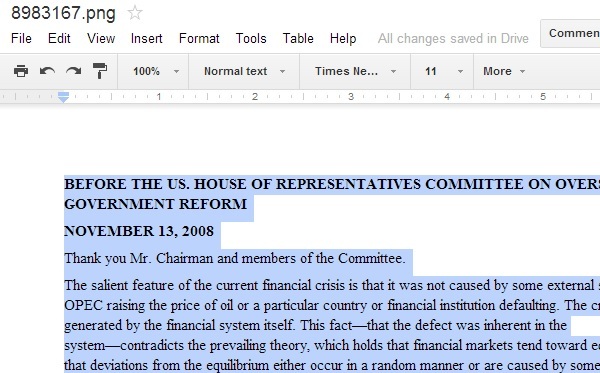 Once the upload is completed, click on the uploaded file name and open it in Google Docs. When you scroll down below the image, you will find the complete texts extracted from the scanned image!.